In this reporting period, EISA supported ECCAS in observing elections to Congo Brazzaville, Rwanda and Angola. 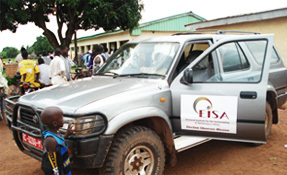 In the Republic of Congo and Rwanda, EISA collaborated with the African Union. Through this collaboration, the ECCAS electoral assistance unit had the opportunity to familiarise themselves with the African Union's methodology namely, briefing, deployment, debriefing, drafting of declarations and publication. In Angola, ECCAS deployed its own electoral observation mission and had the opportunity to apply the lessons learned during the elections observed with the African Union in the Republic of Congo and Rwanda. 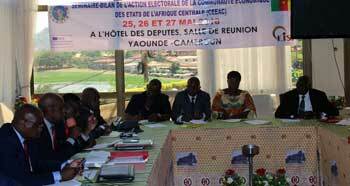 From 25th to 27th of May 2016, the Secretariat General of ECCAS held in Yaounde, Cameroon, a review of ECCAS Electoral Observation, with the financial support of the European Union through its second support program for ECCAS Peace and Security (PAPS II) and EISA technical support. The main objective was to assess what has been achieved since 2005 in terms of ECCAS electoral support to member states and to make accordingly relevant recommendations to ECCAS in order to execute its mandate and to plan its future action. Thirty-two (32) participants, including 5 women, from EMBs of member States, African Union, ECOWAS, PAPS II, the Secretariat General of ECCAS and EISA were among the participants of the workshop. As part of the Memorandum of Understanding signed between ECCAS and EISA, EISA trained ECCAS electoral observers from the 27th to the 30th of April 2015 in Brazzaville to support the member states involved in the electoral process in accordance with the Brazzaville Declaration of the 7th June 2005. This training was proposed in order to prepare ECCAS to respond effectively to the challenges of organizing elections observation by a professional, independent and non-partisan in the Member States. 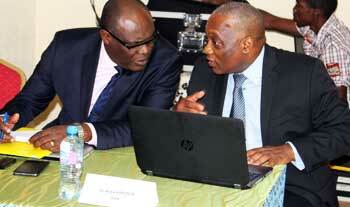 Thirty five electoral observers, including 17 women, coming from 9 countries were trained by EISA.